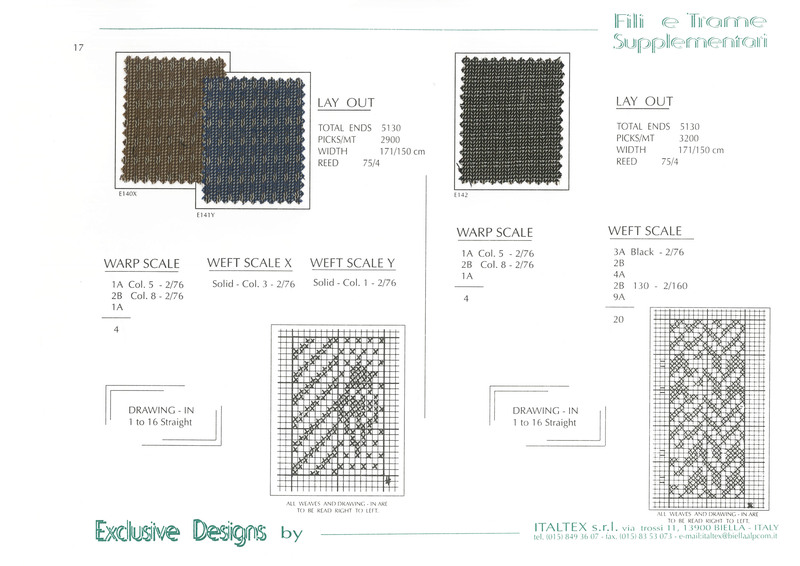 Fabric trend book as well as technical book specific on the effects obtained with additional threads in warp and/or weft. A trendy theme for winter 19-20 spread across styles - for men's as well as women's wear including shirting. Ask to be visited or receive further info.